Evanston Public Library, 1703 Orrington Ave. Representatives of local nonprofits discussed solutions to food insecurities. Representatives of local nonprofit organizations discussed Thursday how they could more efficiently organize their resources to reduce food insecurity in the Evanston area. The event, held at Evanston Public Library, was the second session of a four-part series presented by EPL and Meals at Home, a local nonprofit that delivers nutritious meals to homebound, disabled and elderly people. The panel considered current organizations’ accomplishments and their future plans to tackle the issue. Meals at Home’s executive director Debi Genthe said the group’s biggest challenge is keeping up with the demand for its services. Daniel Jariabka — president and founder of Hunger Resource Network, which re-allocates surplus food to organizations in need — said transportation is a major issue when people try to access local food pantries and shelters. He shared an anecdote about a family who could not reach a soup kitchen because they could not afford gas to go to both work and the kitchen. Lisa Todd, the community relations manager at affordable housing nonprofit Connections for the Homeless, added that the root of food insecurity comes from a lack of economical housing. 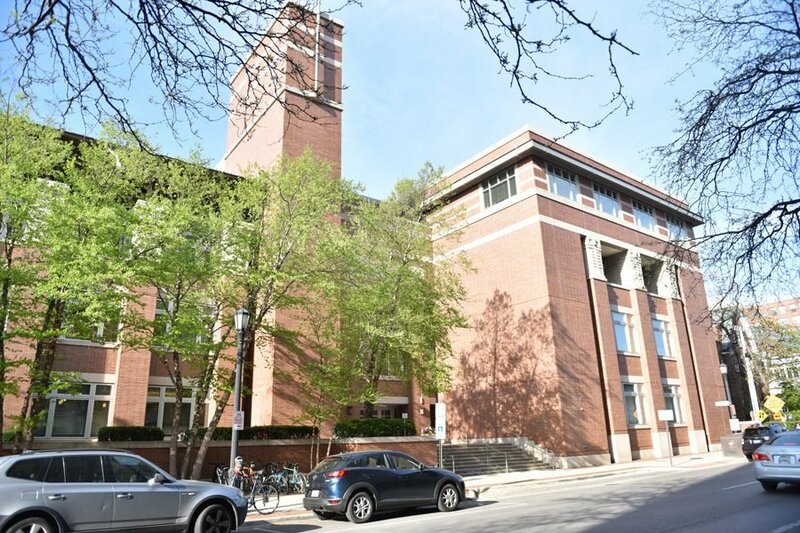 Todd said upwards of 3,500 households in Evanston spend more than half of their income on rent, meaning many people have to dip into their food budget to pay off their housing bills. The government and landlords must offer affordable housing so people can pay for necessary living expenses, she said. Several audience members agreed with Todd and said government intervention in funding such volunteer organizations is necessary. However, Pastor Maiya Lueptow, the director at Hillside Food Pantry, said the government sometimes makes it more difficult for nonprofits to help the community because funding may fall through, leaving a gap in service. “I’ve just watched too many of my colleagues have to cut or shut down their programs because they relied so heavily on (government funding),” Lueptow said. Participants of the panel also said they are beginning to distribute a monthly calendar that lists the schedules of shelters, soup kitchens and other services in the area. They said the calendar will help organizations coordinate their resources and will inform the public of where and when they can volunteer. SESP junior Joanne Huang, who presented her study on food insecurity at the first event of the series, told The Daily that having a centralized group to coordinate these organizations would help promote collaboration. Still, she said there is work to be done.